We often get the question: What is the best combo for Families visiting the La Fortuna, Arenal Volcano area of Costa Rica? 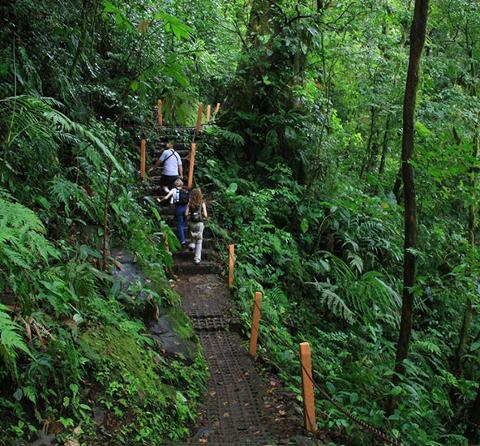 Those who want an up close encounter with nature -- and especially families -- visiting the Arenal area of Costa Rica will not want to miss out on this perfect nature combination tour. 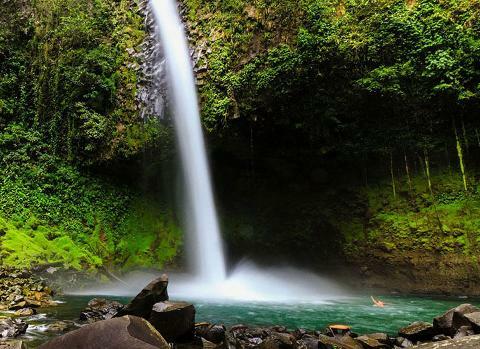 You get an easy-going safari float on one of the most beautiful rivers in the area, enjoy a local lunch and head out to the La Fortuna Waterfall for a refreshing swim. 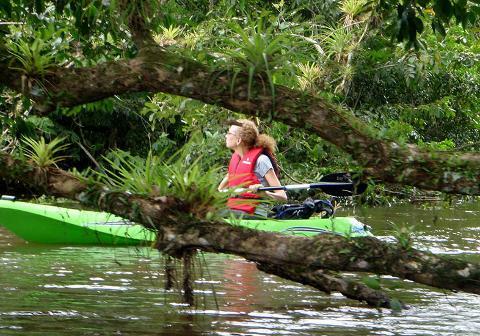 A Top 10 Arenal Tour for Nature Lovers! We start out by picking you up from your hotel in the Arenal, Costa Rica area and drive about 30 minutes to the lush and easy-going Penas Blancas class 1 river. 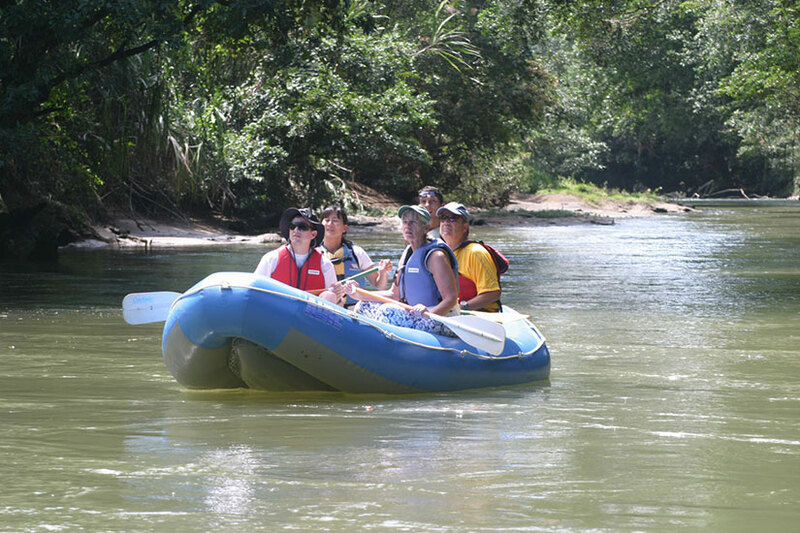 You will walk down a few steps to the banks of the river and get into an inflatable raft with your nature guide. It is a fun paddle session as you explore this jungle river and look up into the tree top canopy that surrounds the river to see caprichous monkeys swinging from the limbs and plentiful tropical birds making their calls. You'll be treated to a visit to the farm of a local family who live along the riverside and you'll enjoy a nice homemade snack when you finish up the safari float. From there, we'll drive about 30 minutes to our new Hunters & Gatherers Restaurant right next to the El Salto secret swimming hole so you can have a delicious and healthy Costa Rican lunch. When you are ready, we then head another 10 minutes to the top of the La Fortuna Waterfall. There are restrooms, showers and changing facilities in this popular Arenalattraction. The La Fortuna Waterfall measures about 120 feet high with fresh, rushing waters that gush over the top of the mountain top covered in lush rainforest. 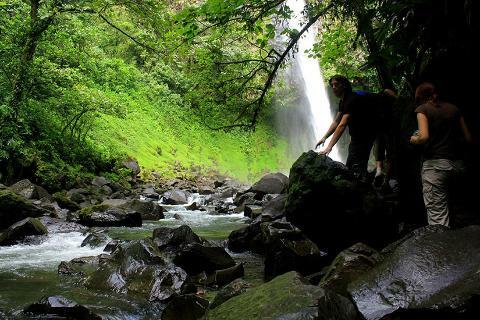 The hike down to the base of the La Fortuna waterfall takes about 20 minutes, so take your time. You can play around in the cool pools and enjoy the majesty of this amazing water feature. The hike back up is about 300 steps, so just take in the beauty of the area the surrounds you. This Arenal COMBO experience will literally leave you breathless!